Have you heard the praises our customers sing? 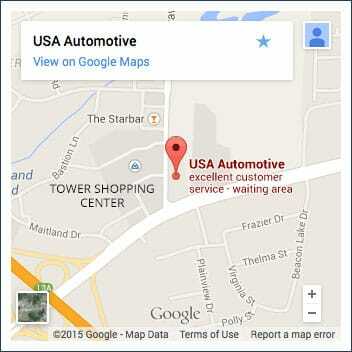 USA Automotive in Raleigh, NC is your final destination for total car care services. Our team is staffed by ASE Certified technicians, who make sure your vehicle always receives a superior level of auto service. We’ve been keeping Raleigh drivers in the fast lane for over 30 years now, and have only expanded and perfected our services since we first opened our doors. As the Triangle area continues to grow and change, the highways have become more crowded. We’d like to apologize for our part in the heavy Raleigh traffic. Instead of collecting malfunctioning cars, we quickly repair them and get them back on the road for enhanced driving experiences. We want you to come to us first because we save you time and money by getting your repairs right the first time! You’ll keep coming back to us because you can trust our expertise and our automotive counsel. Our customers enjoy having a team in waiting with extensive automotive knowledge, personalized care and attention, and fair pricing. When we say we’re the best auto repair shop, we mean you couldn’t make a better choice in auto care provider than USA Automotive in Raleigh, NC! There’s nothing for you to worry about at USA Automotive. In fact, we’re the place drivers come to leave their worries behind. And our industry-leading 3 years / 36,000-mile warranty will make sure you don’t worry once you get home either. We want you to be as confident in our expertise as we are. Our locally and independently owned repair shop treats you like family. 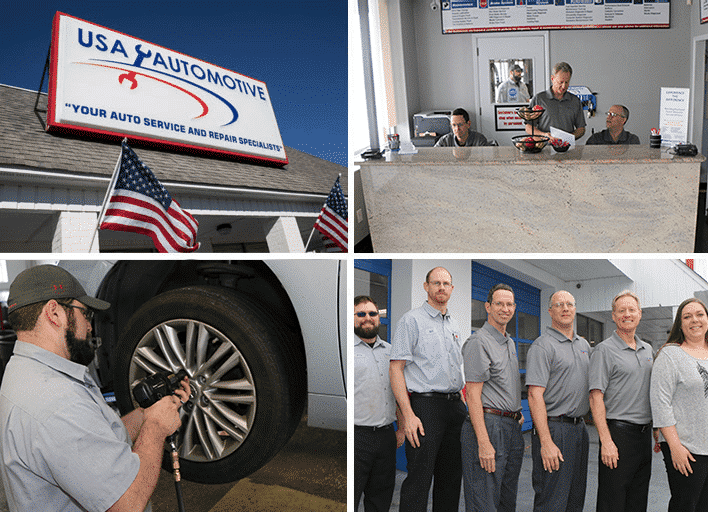 The personalized service that you receive from USA Automotive in Raleigh, NC is nothing like the assembly line, impersonal, and overpriced services you might get from dealerships and lube centers. We will get to know you and your vehicle as we adhere to manufacturer’s recommendations and design maintenance schedules around your vehicle’s age and your driving habits. USA Automotive is a proactive repair shop that makes sure you avoid costly repairs and breakdowns. USA Automotive is Waiting on Your Call! All we need is for you to reach out to us. Let us know your questions and concerns about your vehicle. Our expert repair technicians are sure to have the answers and the solutions you need. Just give us a call at 919-249-5295 to schedule your next service appointment. We can give your vehicle a quick but thorough inspection and an accurate diagnosis. For your convenience, feel free to use our online scheduling system to schedule your appointment right now! We proudly offer a popular pre-purchase inspection so that you can be confident about your new (to you) vehicle. Schedule an appointment today! Were you given a recommendation for a repair or service that you are unsure about? We offer a unique, Free 2nd Opinion on any services or repairs which have been suggested to you. Even more, our work is guaranteed for both parts and labor for 3 years or 36,000 miles, whichever comes first. Our experienced mechanics are ASE Certified Technicians, and work on all makes and models of American and import cars, trucks, SUVS, minivans and hybrid automobiles. From oil changes, check engine light diagnostics, and brakes, to timing belts, muffler and exhaust repair and more, our talented team will help you every step of the way. If you’re in need of auto repair in the Raleigh area, give us a call at (919) 249-5295, schedule an appointment online, or stop by today. We’re excited to show you why USA Automotive remains drivers’ first choice for all of their automotive needs. Write a Review Your Feedback Makes us Better!